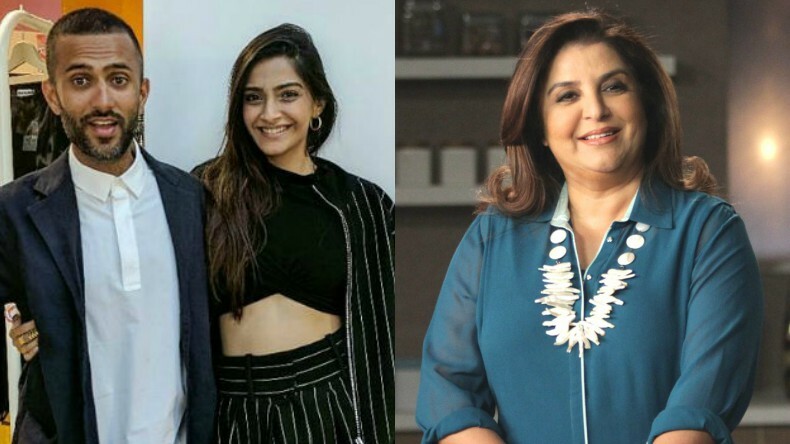 Farah Khan to choreograph Sonam Kapoor and Anand Ahuja’s sangeet ceremony? Bollywood diva Sonam Kapoor is reportedly all set to tie the knot with her beau Anand Ahuja in a 3-day-affair from May 7th to May 10 in Mumbai. If the latest reports are to go by, none other than Farah Khan will be choreographing the duo's sangeet ceremony. The bride-to-be and her extended family have already kick started the rehearsals at Anil Kapoor's Juhu bungalow. Farah Khan to choreograph Sonam Kapoor and Anand Ahuja's sangeet ceremony? Bollywood’s ace choreographer Farah Khan, who recently choreographed the title track of Sonam Kapoor, Kareena Kapoor Khan, Shikha Talsania and Swara Bhasker’s Veere Di Wedding, will also be reportedly choreographing the sangeet ceremony of Sonam and Anand Ahuja’s much-anticipated wedding. According to a report by Mumbai Mirror, The Kapoor family has already kickstarted the rehearsals at Anil Kapoor’s Juhu bungalow. A source close to the daily has also revealed that the bride-to-be and her extended family will be seen performing on songs like Abhi To Party Shuru Hui Hai from Khoobsurat, Prem Ratan Dhan Payo title track and Dheere Dheere among many other wedding songs. Also Read: Internet sensation Priya Prakash Varrier winks once again, will it have the same magic? Apparently, Farah has been chosen to choreograph the sangeet ceremony because of her close ties with the Kapoor family. “Anil and Sunita have known Farah since the time she started out in Bollywood. Over the years, Anil has danced to many hit numbers choreographed by her. Meanwhile, Farah had been brainstorming on the ideal wedding present for Sonam and Anand when she decided to take charge of the sangeet celebration,” the source added. The report further suggested that the duo’s wedding would be a 3-day affair, which will be held from May 7th to May 10th in Mumbai followed by a grand reception at a 5-star hotel. Also Read: Hope Aur Hum first look poster: Naseeruddin Shah is back with another fresh take on life!